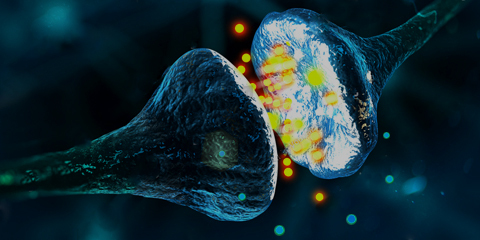 The endocannabinoid system (ECS) is like an interconnected galaxy which pervades every single human being, not to mention other members of the animal kingdom.More importantly, it is responsible for the proper functioning of both the mind and the body, and when it finds it hard to live up to this lofty challenge, phytocannabinoids in cannabis can come to its rescue. What does cannabis have to do with the endocannabinoid system, you ask? Cannabis flower is to your ECS what good oil and metal are to your car. In other words, the phytocannabinoids in cannabis are nearly identical to the endocannabinoids which are so pivotal to the ECS, which is why when your ECS gets rusty, introducing endocannabinoids into your body is like changing the oil of your car. It works in a similar fashion to the brain – through the interaction of different cells, spread across the human body. The most importantconstituentsin the ECS are the endocannabinoids and cannabinoid receptors. The ECS has lots of functions, but only one that truly matters – maintaining a healthy and stable environment inside the body despite changes that occur outside of it which may jeopardize that. This state of stability is called homeostasis, and it mainly depends on how well endocannabinoids communicate between each other. You cut yourself – anandamide and 2-Arachidonoylglycerol decrease the amount of “sensitizers” from the site of injury, thus preventing the nerve cells from going crazy and causing you excessive pain, all while keeping the inflammation-inducing substances, released by the immune cells, under check. But the ECS’s functions span beyond our physiology. Even something like clinical depression can result from a failure somewhere along the line of communication between endocannabinoids. Endocannabinoidsare native to our bodies and are very similar in function and structure to phytocannabinoids. 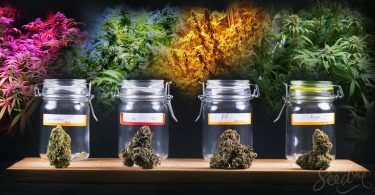 More particularly, 2-arachidonoylglycerol and anandamide are the ECS’s internal THC and CBD molecules– they take on the bulk of the workload that the ECS is responsible for. So far, the most well-known cannabinoid receptors are CB1 and CB2. They are both found throughout the body, but CB1 is mainly focused in the brain, whereas CB2 receptors are concentrated in the immune system. As we know, CB1 and CB2 are the liaisons between cannabinoids and the human body. Once consumed, phytocannabinoids from cannabis interact with the cannabinoid receptors and work their magic. As you can probably see, cannabis and the endocannabinoid system have an almost eerie resemblance, they are like two different manifestations of the very same thing. When you have a deficiency of endocannabinoids in your ECS, cannabis comes to the rescue, supplying it with those virtually identical compounds and breathing life into it, and respectively, you. This is the very reason why cannabis’s properties are so diverse and can be felt throughout your entire being, physically and mentally, providing intoxication and healing – because your ECS is ubiquitous throughout your body. We have only barely brushed against the ECS, cannabis, and how the two can work together to battle all kinds of medical conditions. 1With the strides the cannabis industry is making almost every day, the world of possibilities seems limitless, pretty much as limitless as the endocannabinoid system itself. 1Pacher et al, “The Endocannabinoid System as an Emerging Target of Pharmacotherapy”, Pharmacol Rev, 2006, 58(3): 389–462.